At AAEF we have opted for a fully democratic structure, where all members are actively involved in decision-making. 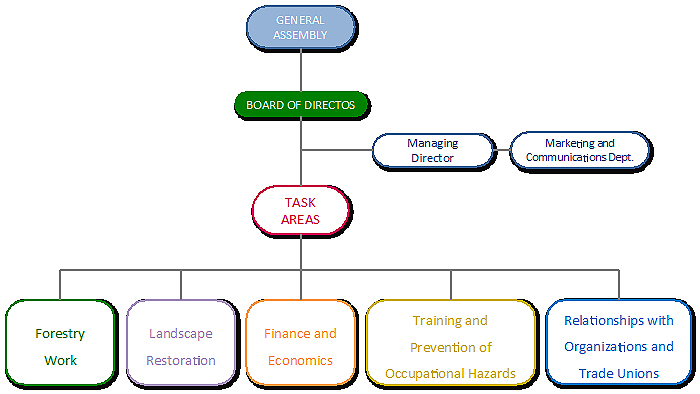 The structure of the organisation is basedon the sovereignty of the General Assembly, which includes all member companies and represents the Association at the highest level.The Assembly makes decisions about the general lines of action to be adopted. These are then fleshed out and supervised by the Board of Directors and implemented by the technical staff of the organisation. In addition, AAEF has established different Task Areas, which include technical committees, composed of technical staff from the associated companies and coordinated by the Managing Director.